Slush is a mix of ice & snow & dirt mixed with water to form a semi-frozen mess. It is usually tinted by the soil or other dirt below it and from the wheels or tracks of vehicles moving through it. When modeled properly it can add a wonderful effect to any diorama. For example, a model splashing through a puddle full of dirty slush with chunks of ice floating and bobbing. 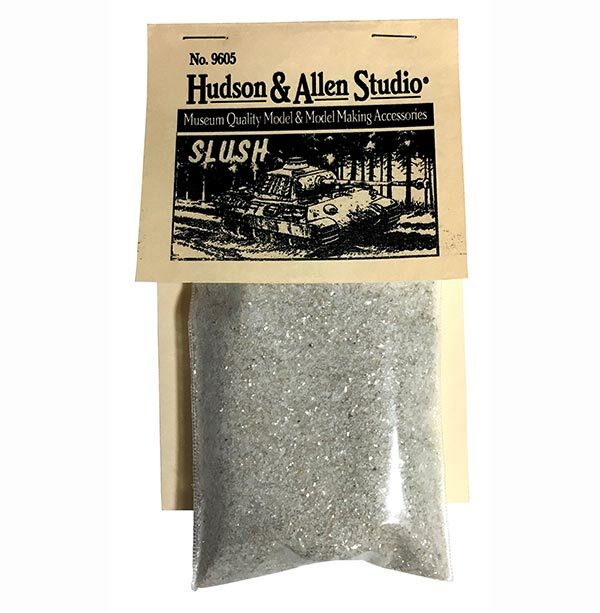 "Slush" is compatible with all the commonly used clear casting resins used to make water, so try adding some slush around the edges of your nearly frozen puddles and/or ditches.